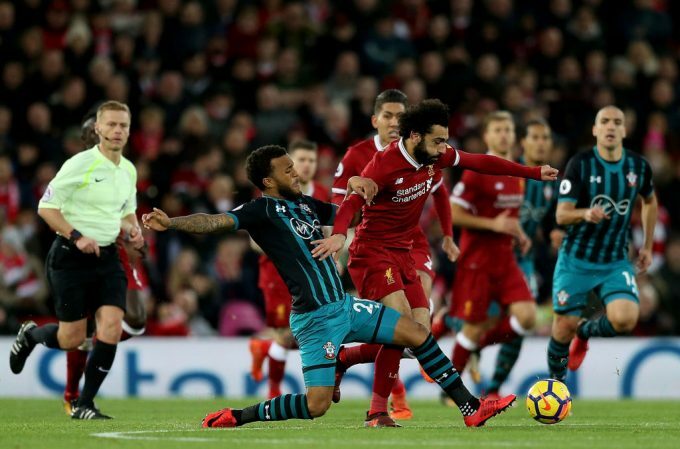 Southampton defender Ryan Bertrand has expressed his hopes to stop Liverpool star Mohamed Salah by exploiting his weakness when the two teams meet on Friday night. Liverpool hosted Tottenham at Anfield on Sunday where they grabbed a crucial victory that saw heavy involvement from Salah whose header was parried away by Hugo Lloris but bounced off Alderweireld’s leg into the back of the net. The Reds currently occupy the first place in the English Premier League on temporarily basis as Manchester City have a game in hand, while the Saints are just two places above the drop zone but have won their last two matches. “It’s always good to play against the best players. That is why you play and it’s the ultimate aim,” Bertrand told Sky Sports News.